The top of the range intertap model with Flow Control (FC). It has all the advantages of the traditional Intertap design and is made from 304 grade stainless steel. In addition to this, it also had the added advantage of the flow control leaver on the right hand side of the tap. This adjustment gives the operator full control over the flow speed. This makes balancing your beer lines a snap. 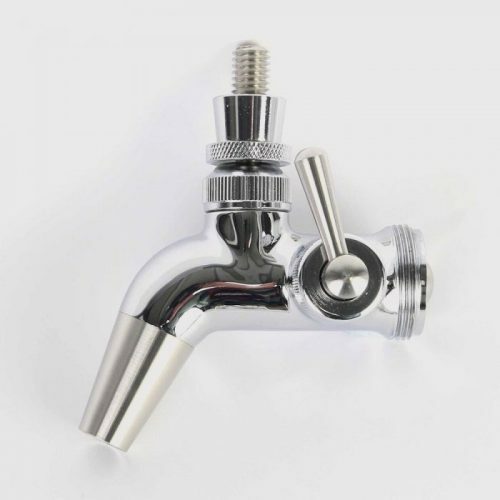 This type of tap is typically suited to customers who are often switching from one beer style to the next and want maximum flexibility in their draft system. The Intertap™ FC cannot be used with the shank spring so this tap should be manually turned off after use.